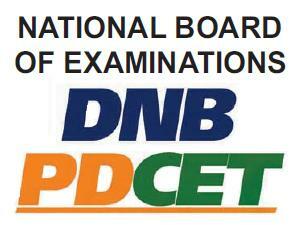 DNB Post Diploma CET July 2015 session counselling details (1st Counselling) - AcrossPG Exams! Subject: DNB PDCET July 2015 Admission session – Centralized Merit Based Counseling. 2. Candidate may note that participation in the Counseling is subject to the candidates being eligible in all respects and verification of their original documents at the time of the Counseling. 3. Candidates without original documents shall not be allowed to appear/participate in Centralized Counseling by NBE under any circumstances. 4. Participation in the Counseling shall be strictly as per the eligibility criteria and guidelines mentioned in the Information Bulletin for DNB PDCET and Handbook for DNB PDCET Centralized Merit Based Counseling – July 2015 admission session. Handbook for PDCET Centralized Counseling shall be uploaded on the website shortly. 5. Candidate can exercise his/her option for participation in further round of counseling (ie. opting out) through NBE website www.natboard.edu.in till the day of his / her scheduled counseling. The candidate need not appear for counseling in-person at NBE office Delhi for opting out for further round of counseling. Candidate has to report to NBE Office in order to opt for a confirmed seat. 6. The Indicative seat matrix shall be uploaded at website in due course. Final Seat matrix shall be displayed at the counseling venue and NBE website before counseling. 7. Candidates can download their rank letters for participation in the Counseling in due course. Reporting time and documentary requirements for the candidates are indicated in the Rank Letter.